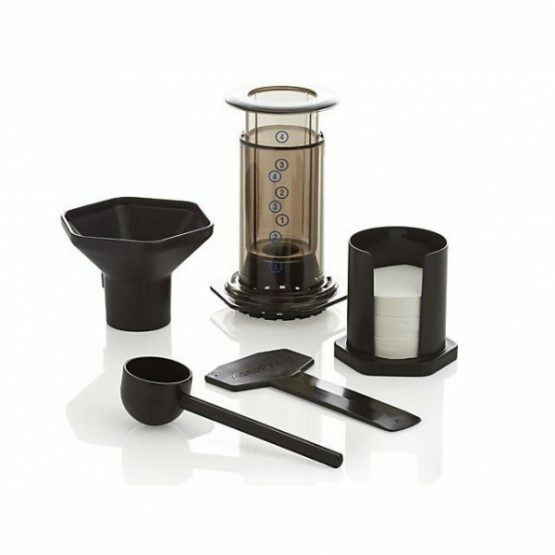 The AeroPress brews delicious coffee with 1-2 cups per pressing. Ideal water temperature and faster brewing yields rich flavor with lower acidity. Its total-immersion system enables even extraction with a short brew time. Micro filtered for grit free coffee – unlike other press-type coffee makers.